When activating SPSS/AMOS, some users will see an error message indicating the need for "administrative privileges". The steps in this article should resolve the issue and allow users to fully activate or reactivate SPSS/AMOS. This issue is primarily manifest on Windows machines. For MacOS users having trouble with activation, an uninstall/reinstall will resolve most activation/activator issues. 1. If you have SPSS/AMOS or the License Activation application is currently open, please close it. 2. 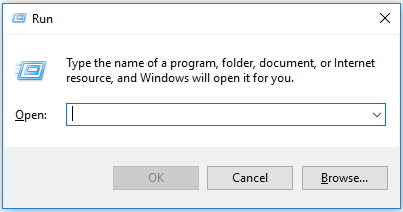 Open a Run prompt by holding the Windows key on your keyboard, then tap the letter R.
4. This folder will have an additional folder in it named for the version of SPSS/AMOS you are running, e.g. 23, 24, or 25. Open the numbered folder. 5. Locate the file law.exe and right click it. 7. Now simply follow the on screen instructions. You should no longer receive the error message when activating. If you're still having trouble, please email helpdesk@lsu.edu detailing the specifics of your issue.